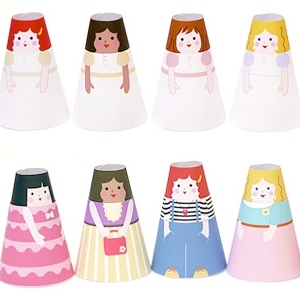 The Cone Girls Winter Collection is launched!Hope you've been having a lot of fun with our printable paper dolls Cone Girls series. 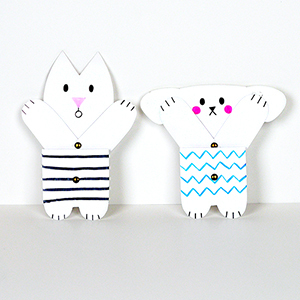 A much needed winter wardrobe for the cold weather is here! 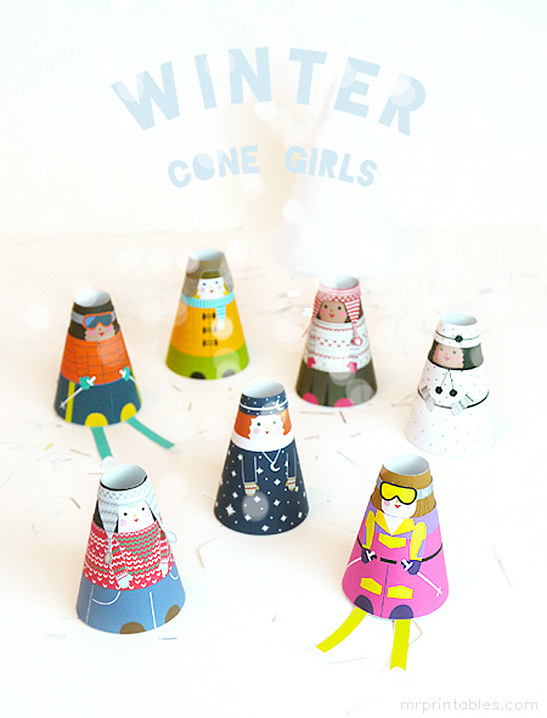 If this is your first time to Cone Girls, you’ll need to download the dolls first from here as the downloads on this page only include the winter outfits. Ski wear just has to be 80s style! Cut around the costume with the skis attached to it and fold them out. 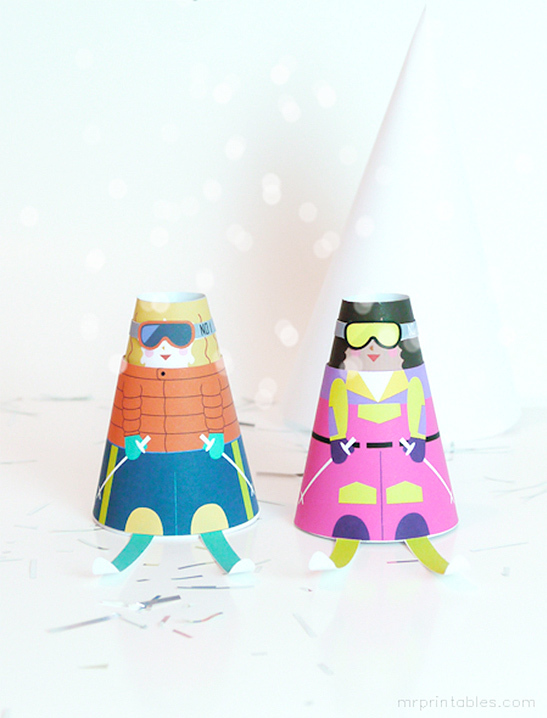 Cut the small goggles too and you’re ready for the slopes. Dress up as Santa and an Elf for the holiday season. 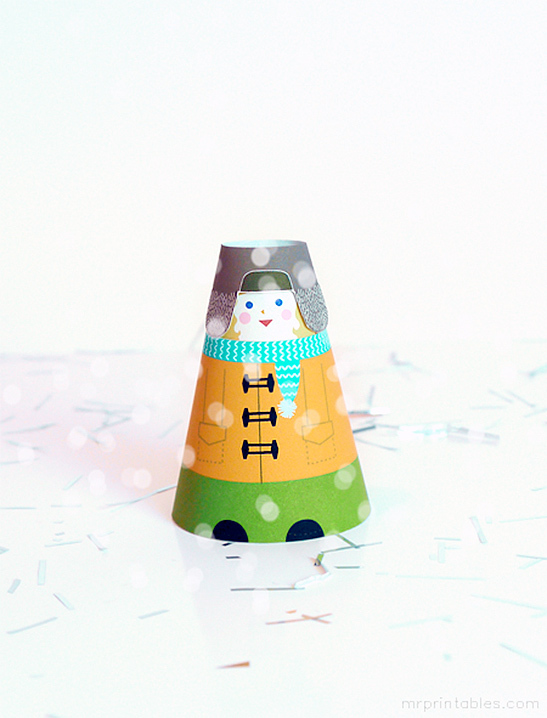 Dress up elegantly in coats and hats if you’re invited to a winter party! 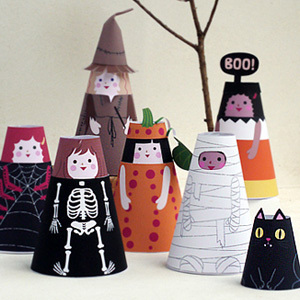 Enjoy cutting, making the costumes and dressing them up!